Skullcandy is a headphone manufacturer that immediately invokes derision from audio snobs. Expectations inevitably sink because a.) it’s a pocket money-friendly brand that targets the lower end of the market, and b.) some of its earlier, cheaper products incorporated designs that were more vulgar than a rack of Ed Hardy t-shirts. That means they’re often overlooked. 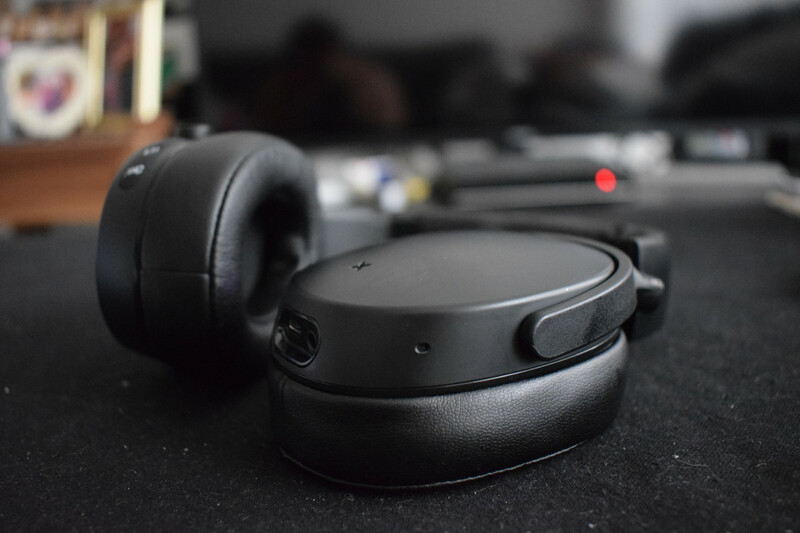 Perhaps not for long though, as the Skullcandy Venue is one of the most compelling entry-level noise canceling headphones I’ve ever reviewed. Sure, in making the £149 ($180 in the US) Venue, Skullcandy did cut a few corners (we’ll get to those later). That said, the Venue impresses in what it manages to incorporate at this price point, with the cans packing long battery life, fast charging, active noise canceling (ANC), and support for Tile’s gadget tracking tech. As I alluded to earlier, Skullcandy has earned itself a reputation for designs that touch upon the far fringes of taste and sound design. The epitome of this is the horrendously tacky Skullcandy G.I., which included a headband adorned with fake bullets, and even a secret pocket for a bottle opener. This combo earned the G.I. a place on Gizmodo’s list of the ten ugliest headphones ever made. With the Venue, Skullcandy has embraced a more conservative and conventional design approach, and it’s welcome. These are cans I’d be happy to wear in public. For better or for worse, Skullcandy has elected to strip the Venue of all branding, save for a tiny (and scarcely visible) logo on the headband. There’s very little that betrays its origins. It’s deliberately anonymous. This is the only clue that these are Skullcandy headphones. But while it looks the part, it doesn’t exactly feel the part, with vast chunks of the Venue coming across as cheap and plasticky. These are the cut corners I alluded to earlier. Let’s start with the headband, which is reasonably comfortable to wear, but lacks the padding you’d typically get with most cans at this price point. Compare it to, for example, the equivalently-priced Plantronics Backbeat Pro 2, which has all the cushioning of a luxuriously plush sofa. If you’re paying $180 for some cans, it’s not unreasonable to expect a little bit more memory foam. Similarly, the build on the cans themselves disappoints. They have a plastic-y construction that, while undoubtedly rugged, feels exceptionally cheap. It’s also a magnet for fingerprints and greasy smears. On the plus side, the Venue comes with a nice enough fabric carry case, which also houses the assorted necessary gubbins, like the 3.5mm AUX and micro USB charge cables. Where the Skullcandy Venue redeems itself is in overall audio and battery performance. We’ll start with the latter, as it’s arguably the strongest point of these cans. Skullcandy says you can get about 24 hours worth of battery life from the Venue while using ANC and Bluetooth. In my experience, that’s a bit conservative, with real-world use surpassing that. 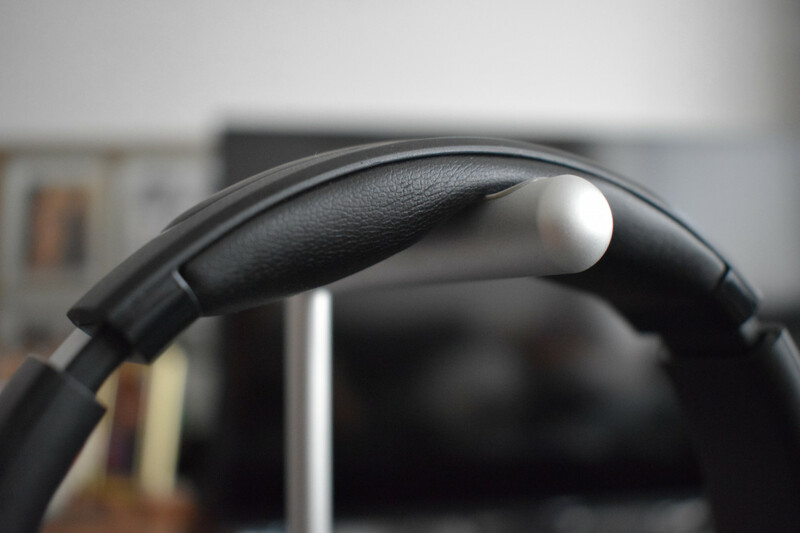 You can stretch the battery life even further by switching off noise canceling and connecting the cans to your phone via the included cable. The Venue also benefits from fast charging. After five minutes hooked up to the mains, you can get about 5 hours listening time, which is respectable. As someone who routinely forgets to charge my headphones before embarking upon long journeys, this is a welcome feature. My biggest complaint is that, save for the battery monitor LED (which isn’t visible while you’re wearing the cans), there’s no other way to check how much juice you’ve got left. Other headphones, like those from Anker and Plantronics, will give you a verbal reminder of how much charge you’ve got remaining. These don’t. 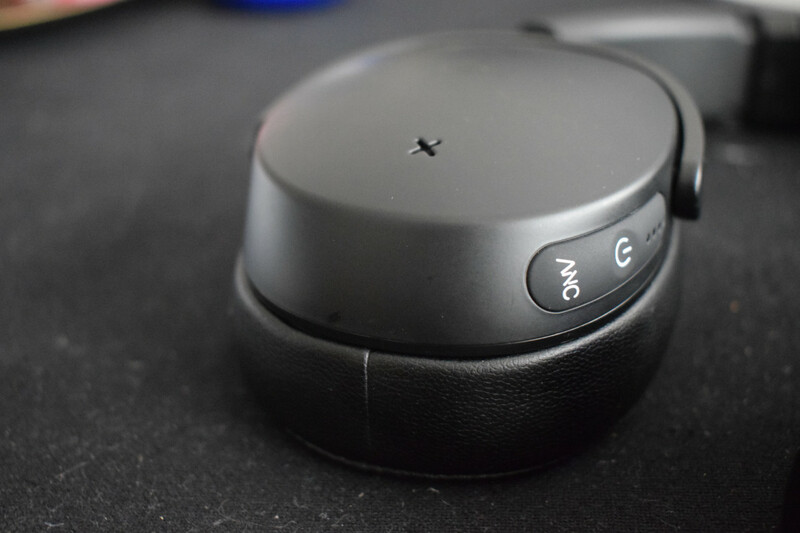 Now let’s move on to the ANC noise canceling, which is an increasingly common feature found on lower-end headphones, like the Mixcder E8 and the Anker Soundcore Space NC. When looking at the lower end of the headphone market, it’s essential to get your expectations in check. If you’ve got aspirations of being encased in a sarcophagus of silence, prepare to be disappointed. Instead, they’re going to de-emphasize the irritating voices in the background that would overpower the tunes you’re playing. Screaming babies will fade into a whisper. The roar of an airplane engine will dampen. That’s pretty much the case with the Skullcandy Venue. It mitigates against the annoying external sounds that would otherwise bleed through into the music or podcast you’re enjoying. I experienced this earlier this week when flying from Belfast to Liverpool on an old propeller plane. The Venue did an excellent job of stifling the drone of the Bombardier Dash 8’s noisy turboprop engines. With that out of the way, let’s chat about audio performance. Traditionally, Skullcandy hasn’t performed exceptionally well here, but in fairness, it hasn’t tried to. As a brand, it’s emphasized affordability and design, leaving the prosumer and audiophile market to other companies. While the Skullcandy Venue doesn’t sound especially bad, per se, it won’t exactly knock your socks off. It’s very much a middle-of-the-road performer, albeit one with enough versatility to prevent it from being shoehorned into one particular musical genre. As you’d expect, the Skullcandy Venue emphasizes bass, which makes it perfectly adept for playing EDM, dance, Jazz, and hip-hop. One of the songs we used to test the Venue was Hopopono from Mancunian jazz legends GoGo Penguin. Coursing through the heart of Hopopono is a thumping bass line, delivered expertly by Grant Russell and his double bass. The Venue put this front-and-center in a way that felt distinctly powerful, but perhaps at the expense of the piano and drums. Another song we’re using to highlight the capabilities of the Venue is Ryuichi Sakamoto’s Merry Christmas Mr. Lawrence, from the Japanese composer’s stripped-back album Playing The Piano. This song is an excellent tool to test treble performance, thanks to Sakamoto’s gentle emphasis on the delicate high notes. The Venue played this competently, with the highs not becoming distorted or shrill, but I do feel as though it lacked some of the warmth you’d get when listening to the track on other headphones in the same price point, like the Brainwavz HM5. Who should buy the Skullcandy Venue? The Skullcandy Venue is an excellent mid-range effort from the Utah-based audio company. It’s clear that it’s tried to pack the Venue with as much ‘stuff’ as it can, from ANC to support for the Tile app. Sound quality is listenable, but not exceptional. I liked the conservative and subdued design, although wasn’t blown away by the build quality. In short, it offers decent value for money, but before you drop down your credit card details for a pair of these, there are others I’d recommend first, like the Anker Soundcore Space NC. The Skullcandy Venue is available from today. If you’re in the UK, you can grab them from HMV, and Argos for £150-ish. Unfortunately, they’re not available on Amazon, but the company says they can be picked up on the high street. If you’re in the US, you can order the cans on Skullcandy’s website.